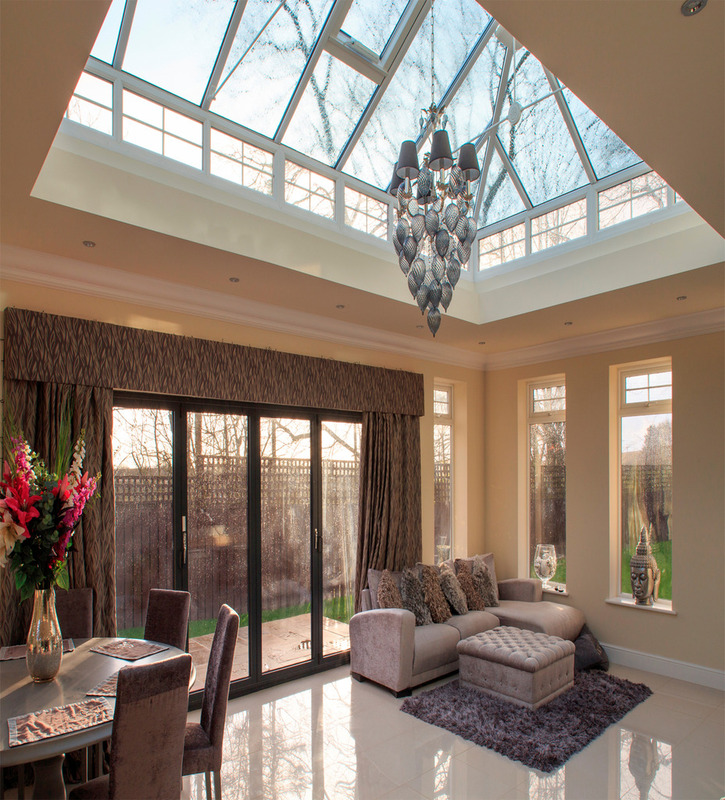 A Liniar Lantern roof makes for a stunning statement of elegance and grandeur. Ideal for georgian and victorian period properties, the lantern style is often chosen to house swimming pools, orangeries or for larger conservatories. The lantern style dates back to the 19th century, with many stately homes still featuring them today, including Kew Gardens. A majestic and grand option for larger houses, lantern conservatories are spacious and allow an uninterrupted view of the sky. All roofs are supplied with Eaves Beam, Ridge, rafter bars and hip bars to suit required size. All polycarbonate/glass sheets are cut to size and end closure provided. Polycarbonate roofs with a projection or width over 4500mm are provided with a tie-bar support. Glass roofs with a projection or width over 3000mm are provided with a tie-bar support. All gutter and ancillaries are provided. There is no aluminium box gutter included in the price. 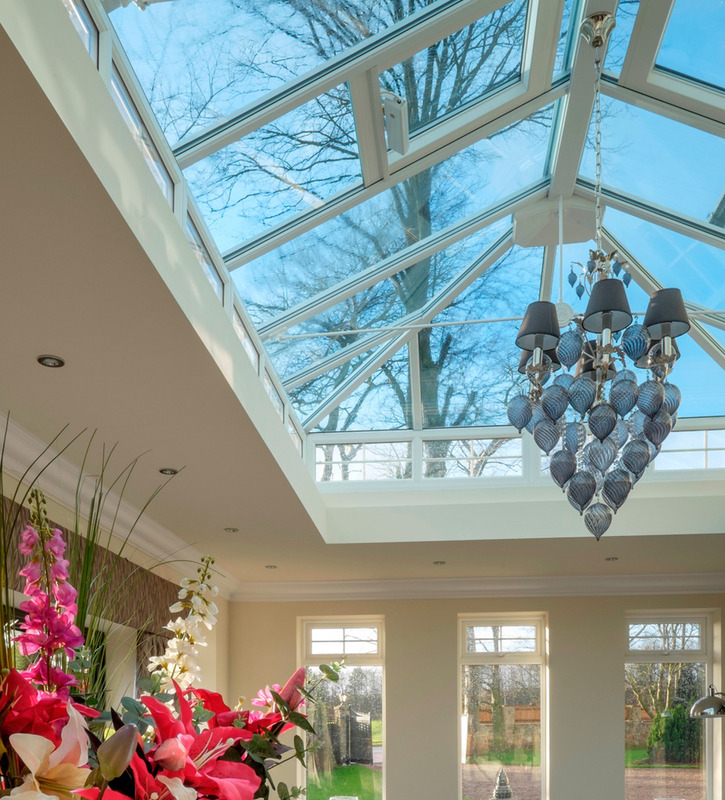 Liniar’s conservatory roof range is designed, modelled, tooled, manufactured and foiled at the state-of-the-art HL Plastics facility in the UK. Liniar’s roofing range is made from lead-free, energy efficient, recyclable uPVC, making it a sustainable choice. Liniar invests in continuously developing and enhancing its range of roof styles and products, with benefits for installers and homeowners. The Liniar roof range is manufactured to the highest standards at HL Plastics’ factory, which is accredited with ISO 9001 quality performance. Liniar’s roofing range is fully tested, both in-house and independently, for robustness, durability, weather and quality. Liniar’s roofing range is covered by the 10-year guarantee against cracking, warping or discolouration.